The type of linens you choose will influence your overall decor effect. A monochromatic palette lends itself to a rich combination of several features. Using the right accessories and table settings, you will achieve a harmonious reflection of your vision. Chair covers come in satin or taffeta. They are highlighted by sashes, brooches, pearls or buttons. Even flowers, seashells or branches bring out a unique wedding theme by decorating your venue. Ask the specialists what linens are best suited for your venue. Consider interesting overlays to create depth and character. 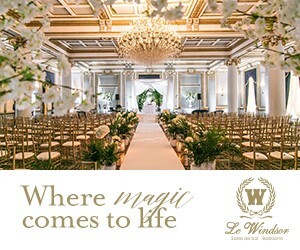 Describe the way you want your ceremony and reception to look and heed their advice. The professionals will help you devise an ambiance that works with your venue, your colour scheme and your wedding season. Let your creativity flow! Styling, Florals, Linens & Decor: Covers Couture Decor & Floral Design | Photography: Mimmo & Co.